Our Zaxby’s guide contains information on Zaxby’s menu prices, the Zaxby’s secret menu, nutrition information and much more. This is a chicken restaurant that prides itself on speed, quality food and some of the hottest sauces around. “The Official Chicken of Sports Fans” is also a big sports fan and sponsors some of the biggest sporting events in the United States, catering to the millions of Americans who love to indulge in wings, French fries and other American classics as they watch the game. Regularly ranked as one of the best franchises and one of the fastest growing chains, the future is very bright for this fast-service casual dining restaurant. It is on course to pass 1,000 locations within its first 30 years of operation, and from there, the sky is the limit. If fried chicken is not your thing then there are plenty of chicken salads to choose from. 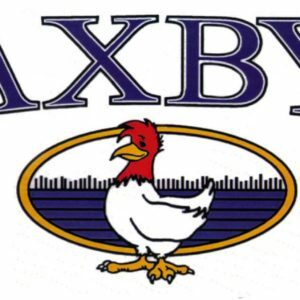 The first Zaxby’s restaurant opened its doors in Statesboro, Georgia, in 1990. Zach McLeroy and Tony Townley were the men behind the brand and the men working hard to make it a success. They choose a location near a college campus, and attracted an immediate rush of custom from the local students. Their hard work was quick to pay off and they opened more locations in the years that followed. After 4 years, they had several locations to their name. At that point they launched their first restaurant outside of the Peach State, gradually establishing themselves in Kentucky as they had done in Georgia. With a few knock-out sauces, some unique flavors and a quirky aesthetic, Zaxby’s caught on quickly and before long they boasted over 800 locations across 18 states. Many of those locations are based in college towns, catering to a young, educated crowd. As a result, Zaxby’s has gained a reputation as a young and energetic brand, which they have helped to nurture by sponsoring college sporting events and teams. French Toast is one of the more unique items on the Zaxby’s menu. You will find something for starter, main, side and dessert on the Zaxby’s menu. If you haven’t paid a visit to this restaurant yourself, then just think of the Chick-Fil-A menu and you won’t be too far wrong. There are all kings of fried, breaded chicken dishes to enjoy, as well as chicken salads. Most menu items contain chicken, including their sides. it’s not the only thing on the menu, but if you don’t enjoy this white meat then you might be a little short of options. There are also Lunch Boxes that come loaded with chicken, chips, coleslaw and chocolate chip cookies (we’re sure the alliteration is accidental). There is an extensive catering menu as well. This is ideal for parties, as you can pickup a huge platter of wings, a big box of sides and an assortment of other menu items, saving big by buying in bulk. The Zaxby’s Secret Menu isn’t big, but there are still menu hacks to explore. While the KFC secret menuis one of the biggest on this site, that’s because KFC is huge and has been going for a very long time. However, while they serve similar food, the same can’t be said for the Zaxby’s secret menu. There are a few options here, but not a great deal and certainly nothing that comes close to the Colonel’s secret menu. Still, we’re always looking to add to this and to all secret menus on this site. So, if you want to discover some extra hidden menu items, some menu hacks and more, be sure to checkout the Zaxby’s secret menu. Zaxby’s menu prices are in line with chicken chains like Popeyes and KFC. In other words, they are very cheap and you can usually feed the whole family for less than $50. If you’re on your lonesome, then you can enjoy a mean feast with just $10 in your pocket. Their “Plates” are where you will find the best value for money. These are all available for around $10, and you get a lot of food for your money. There are also meal deals for under $8; salads that cost about the same; and appetizers for less than $4. The famous Zax Sauce is under $0.30 a piece, and there are other sauces available for the same price. To see a full list of prices, read up on our Zaxby’s Menu Prices. This guide comes complete with a full list, including updated prices on every Zaxby’s menu item. There is nothing wrong with a little indulgence every now and then. Chicken is very good for you, but few of the dishes on Zaxby’s qualify as “healthy” in any way. Many of their salads are heavy on the oils and sauces; their chicken mains are fried; and there is a lot of saturated fat in their sides and desserts. It’s not all bad news though, and there are lower calorie and reduced fat options if you’re watching your weight. There are also options for vegetarians, although not many. To see these options, as well as info on the Zaxby’s gluten-free menu, read our Zaxby’s Nutrition Info page. This contains all kinds of nutrition info, including the calories, fat and sodium content of each dish. This chain has grown at an incredibly rate and continues to do so. Many of its locations have been placed in college towns and near to college campuses, and this has helped to ensure there is always a line of customers outside the door. Zaxby’s is open 7 days a week. From Monday to Thursday it opens at 10:00am and closes at 10:00pm. These times are extended during Friday and Saturday, where it often remains open for an extra hour. On Sunday it opens at 11:00am and closes at 10:00pm. These times may vary depending on location, so make sure you check with your local restaurant to determine the exact store hours.